The HMT PREMIUM MULTI-FUNCTIONAL OIL RANGE of lubricants are premium quality, ashless, multi-functional oils designed to satisfy the needs of machine tools and general factory equipment. 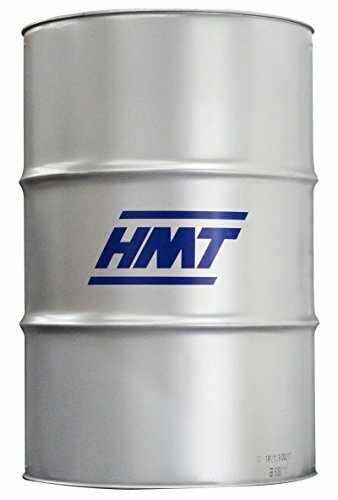 HMT PREMIUM MULTI-FUNCTIONAL OIL grades exhibit outstanding demulsifying properties making them the first choice for use as slideway oils with water based metalworking coolants. When in contact with the coolant, very rapid separation of the lubricant allows for quick and easy removal. In addition HMT PREMIUM MULTI-FUNCTIONAL OIL grades possess excellent anti-wear, extreme pressure, lubricity and rust protection properties along with a high degree of oxidation resistance. This makes them the ideal choice for gear and hydraulic applications allowing for product rationalisation and stock inventory reduction. Always refer to the manufacturers handbook before use. Performance levels can be subject to change. Technical Datasheets available upon request. If you have any questions about this product by HMT, contact us by completing and submitting the form below. If you are looking for a specif part number, please include it with your message.